On the American market since 1989, this perfume was introduced in France only in 1993. 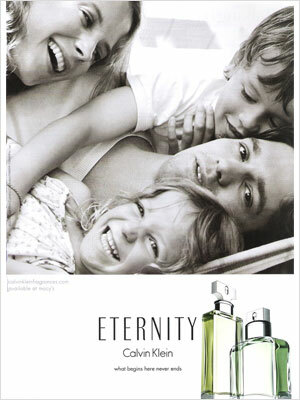 As in the women's version, Eternity for Men is the forerunner of a return to family values that characterized the late eighties in the United States. Calvin Klein pays a tribute to his marriage in evoking the value of fidelity, conveyed through images of the couple and the family. A messenger of universal values, the fragrance has been a leader in men's perfumes for many years in the United States. 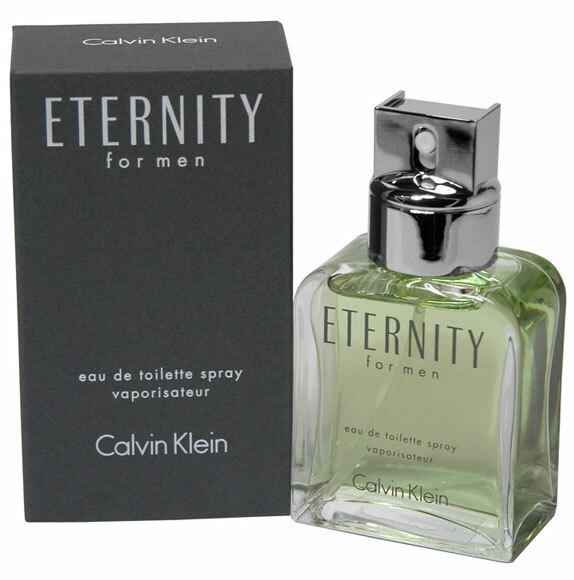 Eternity for Men is built on a fougere base, strengthened by lavender and coumarin, and modernized by a heavy use of floral transparent notes. It forms a bouquet which combines with aquatic tones, fruity accents and sandalwood notes. This blend gives the fragrance a modern flavor termed "nouvelle fraîcheur", in other words, a non-citrus freshness which is both mild and clean and remains on the skin. The transparent and sober packaging marked the advent of the minimalist trend which so greatly influenced perfume bottle design in the nineties.